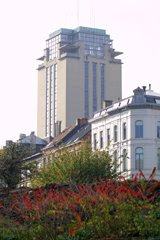 Ghent University (in Dutch, Universiteit Gent, abbreviated UGent) is one of the three large Flemish universities. It is located in the historic town of Ghent in Flanders, the Dutch-speaking (northern) part of Belgium. It has 30,000 students and 6,400 Staff members. 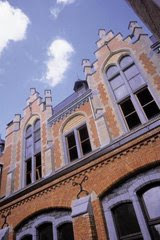 Ghent University, abbreviated to UGent, is one of the major universities in the Dutch-speaking region. Over 130 faculty departments, divided over 11 faculties, offer high-quality courses in every one of their scientific disciplines, each inspired by innovative research. Ghent University distinguishes itself as a socially committed and pluralistic university in a broad international perspective. 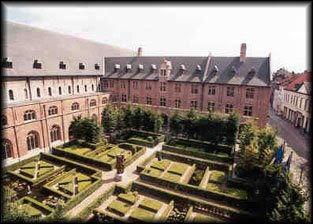 In comparison with other European universities, the Ghent Alma Mater is relatively young. The institution was inaugurated on October 9, 1817, after King William I in the preceding year had proclaimed the establishment of three universities in the Southern Netherlands. Lectures started on November 3rd. 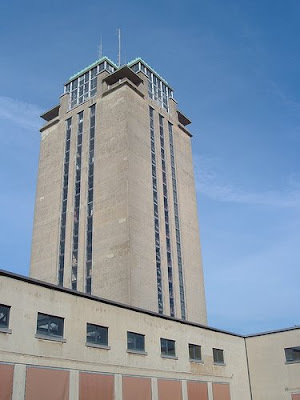 Two events had a decisive influence on the University's history: the political separation from the Netherlands in 1830 and the introduction of Dutch as the official language in 1930. Both events represented at the same time a break with the past and a new beginning. They also coincided with changes in the University's language statut. The language of instruction from its establishment by William I of Orange till the separation from the Netherlands was Latin, from 1830 till 1930 it was first French and then a bilingual system, and after 1930 it was Dutch. The first professorial staff had sixteen members, including nine foreigners, mainly Northern Dutch and Germans. In 1817 a total of 190 students registered in the four faculties: Arts, Law, Medecine and Sciences. The revolution of 1830 had disastrous consequences for education in Ghent as two faculties were abolished- Sciences and Arts. Although the Law on Higher Education of 1835 returned the two faculties to Ghent University and also added the Technical Schools, the recovery proceeded very slowly. Thirty-five years would pass before the student population level of 1830 was once again attained. 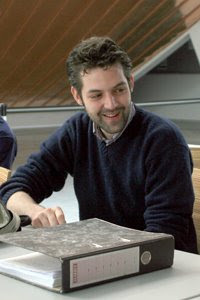 Nevertheless, during this period Ghent University won the greatest number of prizes in the university competitions. 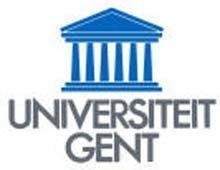 A systematic and thorough modernization of higher education in Ghent took place after the Laws of 1876 and 1890 were passed, which granted universities the power to award academic degrees and enabled the scientific development. Due to the relaxed entrance requirements for university studies, female students also gained access to higher education. The first woman came to study in Ghent in 1882. She opted to study Sciences. Laboratory exercices and laboratory research work got their start in this period and research assistants were also appointed. Over the years the professorial staff has included a number of eminent figures: the jurists Jean-Jacques Haus, and François Laurent, the physicist Joseph Plateau, the mathematician Paul Mansion, the physiologist and psychiatrist Joseph Guislain, the historians Henri Pirenne and Paul Fredercq, the Germanic scholars Joseph Vercoullie and Henri Logeman, and the zoologist and botanist Julius Mac Leod, who was also the spiritual father of the Flemish-speaking Ghent University. Dutch became the official language of Ghent University in 1930, the year Belgium celebrated its first centennial. This made it the first institution in the country to offer its educationnal programmes in Dutch. In 1938 Prof. Corneel Heymans of Ghent was the only Fleming to receive the Nobel Prize for his discoveries in the field of respiratory regulation. The pulling down of the language barrier in 1930 constituted an important step towards the democratization and scientific development of recent decades. A university stands or falls on the basis of the scientific research it produces. In the past, the university's fame was in the hands of individual scholars who taught and carried on research. In the last decades, because of the explosion in the growth and range of scientific research, this is no longer feasible. Research is increasingly becoming a matter of teamwork and interdisciplinary collaboration. As a consequence of the reform of the State, regional communities enjoyed wide powers of decision, for instance on education. The decree of 1991, who assigned great autonomy to the University provided new challenges on education and research in an international perspective. Today, after decades of uninterrupted growth, Ghent University is one of the leading institutions of higher education and research in the Low Countries. With 26,000 students and 5,450 staff members, Ghent University is an open, committed and pluralistic university with a broad international perspective. 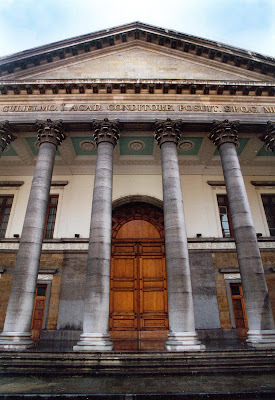 After more than twenty years of uninterrupted growth, Ghent University is now one of the most important institutions of higher education and research in the Low Countries. Ghent University yearly attracts over 30,000 students, with a foreign student population of over 2,200 EU and non-EU citizens. Ghent University offers a broad range of study programmes in all academic and scientific branches.